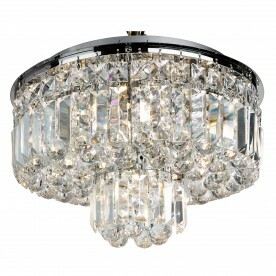 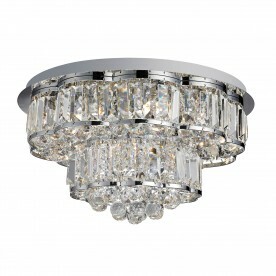 This Vesuvius Chrome 5 Light Fitting with Clear Crystal Coffin Drops and Balls makes an amazing impact in any room. The stunning chandelier features two concentric rings of crystal coffin drops and balls, which surround the central light fittings and sparkle beautifully at night. 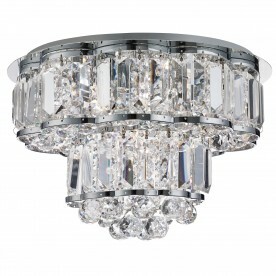 And it fits close to the ceiling, which makes it suitable for any room.